My life in Ojai is made singular by a number of experiences - of people, places and things - but no experience is as critical to my personal Ojai gestalt than the sensation of driving east over the top of the grade down past Dennison Park over the narrow bridge at the left hand corner at the bottom of the slope, past the new gateway to Black Mountain Ranch on the right and, deep breath, into the open arms of Upper Ojai. There is a counterpoint to this experience driving west and rounding the first bend on the grade and taking in the view of the valley laid out below and the sheltering mountains beyond. It is a majestic vista but it does not elevate my spirits like the big skies of Upper Ojai. Dropping down into the valley I feel the weight of enclosure. Driving into the upper valley I feel the exhileration of cresting a high plateau. Both experiences have to do with the relative containment of space. In both cases the positive landforms create a base for the firmament or negative space above. It is my interaction with that space that seems to be critical to my sense of well being. After my friend Lorenz Schaller first visited our property he sent me notes of his impressions. He pronounced the meadow rise where we located the house a 'sky-bowl'. In other words, a container for the void. The landforms do generate a sense of the house (and us within it) being held in a vessel or, of being enfolded in the rills, ridges and declivities of the land. 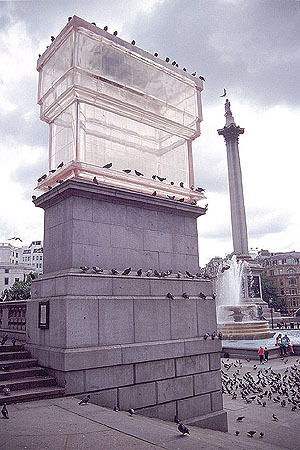 But ultimately this landscape, as Lorenz intuited, addresses the sky - the negative space above. He suggested we create a series of water features, in bowls, pots and urns that would reflect the sky. 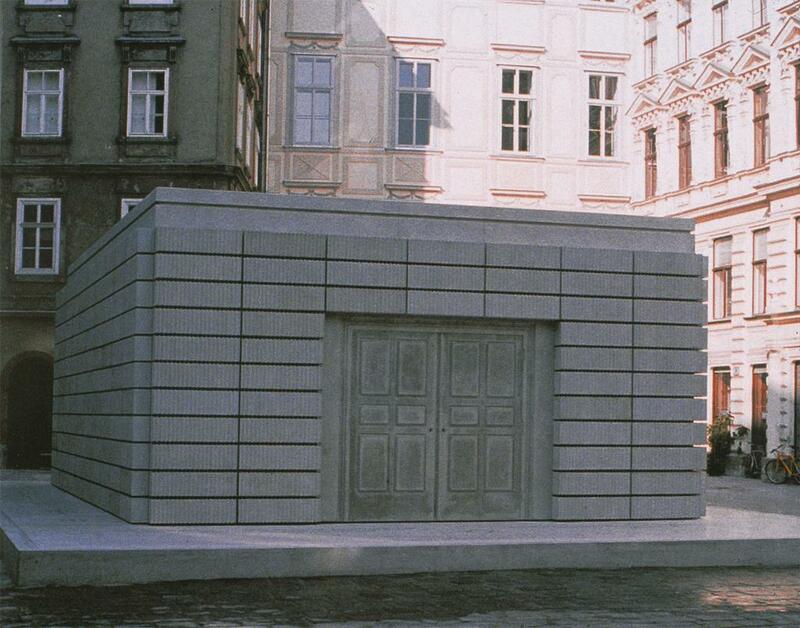 The British sculptor Rachel Whiteread has long been the queen of negative space, memorializing it in such epochal works as 'Monument' , 'Ghost' and the Judenplatz Holocaust Memorial in Vienna. She makes unoccupied space manifest by casting it in plaster, concrete or resin. The negative is made substantive. Its an old trick, practiced in the death masks of the 15th century; Nolli's figure ground drawings of Rome, and (as Garfield Smith and others have noted) the space beneath Bruce Nauman's chair. But as Janet Goleas writes, " Ok! She's not a nun. I'll admit the whole idiom may be a little over-cooked, but it hasn't yet fallen off the bone." Lorrie and I visited the Hammer Museum's show of Whiteread's drawings....and the odd resin cast. Her drawings are perfunctory and she was reportedly wary of an exhibit devoted to them. Her chosen medium exists in three dimensions and interestingly her drawings are not flat - she uses white-out extensively to build a crust or topographic layering on them. The drawing description credits 'correcting fluid' as the medium and she calls it by the trade name 'Typex'. (How delightful it is that american english retains an anglo-saxon freshness and uses the blunt 'white-out', compared to the recursive devolution of the mother tongue that prefers 'correcting fluid'.) There was enough sculpture to get a real feel for her work and for her - for this is an intensely personal show that included, for instance, an artfully curated collection of small objects that inspire her. She came to the world's attention with 'Ghost', the plaster cast of a room interior in 1990 and later cast an entire, about to be demolished, house. Her fascination with architecture as subject gives her an affinity with Gordon Matta-Clarke but he very clearly worked with the vessel not the implied space; she sees in the curve of the hand reaching for the doorknob, a negative of its intended point of contact, something more fascinating than the leaden doorknob itself - he preferred the chain saw. Her work is an astringent reminder that form has a partner, it can only exist as an intrusion into space like a rock or, both as an intrusion and a container, like a cave. Ojai is a bowl or in local lore, a nest. Upper Ojai is a broad plain, almost a bolson or flat basin floor. We live at the east end of this plain as Koenigstein winds up towards the Topa Topas. Our property is mildly dished, canted to the west, protected to the east and south. Always aware of the spatial impact of land forms, I now imagine casting the sky.